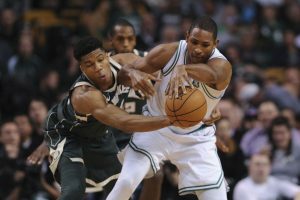 The Milwaukee Bucks and Boston Celtics have played two games in their playoff series. The Celtics have won both and made one thing apparent. Their young players won’t let expectations determine how far this team will go. They will be without Gordon Hayward, Kyrie Irving, and Daniel Theis until next season. 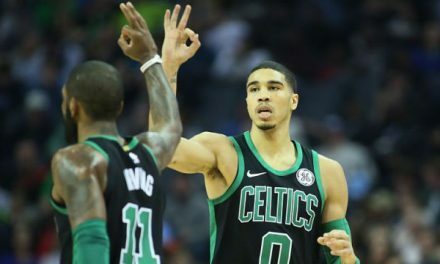 In the first two games Brown, Tatum, and Rozier have stepped up, showing that the young Celtics are ready to lead this team. At the start of the season the Celtics had title aspirations. As injuries depleted this team, expectations of a deep playoff run have diminished. 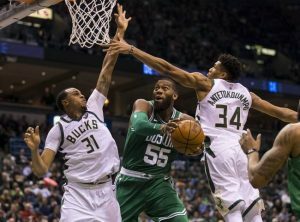 The Celtics won the first game in an overtime thriller, but dominated the Bucks in Game 2. They have played with grit and hustle which could carry them far in the playoffs. Furthermore, the young players have embraced the challenge and have not let the injuries be an excuse, and now control the series. With the injury to Irving, the Celtics turned to Rozier to be the starting point guard. Just like in the regular season he’s answered the challenge. In Game 1, Rozier hit a clutch three pointer, which would have been taken by Irving or Hayward had they been healthy. Terry has scored 23 points in both games. In Game 2, Jaylen Brown was the spark as he scored thirty points. 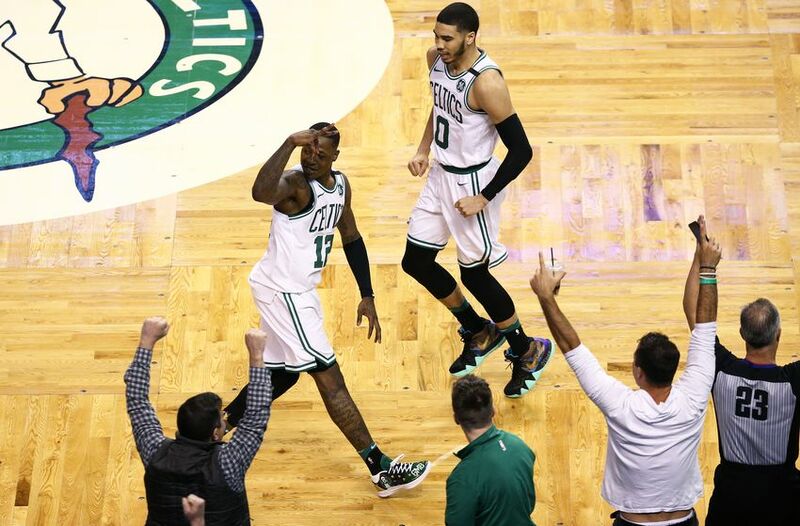 Like Rozier, the Cal product has elevated his play in the playoffs when the Celtics needed it the most. Tatum has also been incredible and has looked like anything but a rookie playing in his first playoff series. With all the injuries, Al Horford as shown why he’s so valuable to this team. In Game 1 Al recorded a double double. Last night, Horford had only five rebounds but also scored sixteen points. If the Celtics are to make a deep run they will have to ride their veteran center. Head Coach Brad Stevens said, “ We’re going to ride Al… With where we’re at, he’s going to facilitate”. He isn’t going to put up big numbers but that’s not his job. 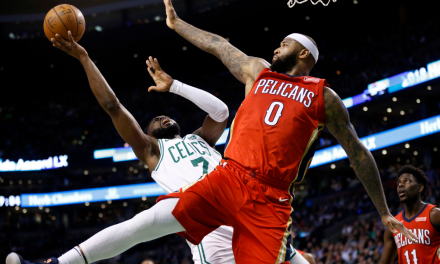 The scoring will be picked up by the Celtics young stars and other veterans, such as Marcus Morris. The road to the finals for this team will not be easy, especially with them shorthanded. 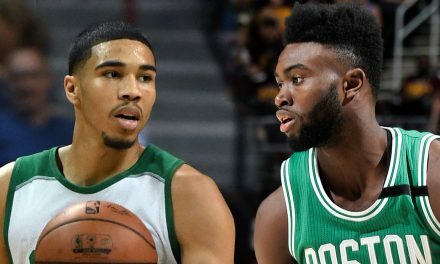 Through two playoff games the young Celtics have shown they won’t give up. Regardless of the outcome, the playoffs have shown how bright the future is in Boston. Next year they will make a deeper run, but for now its best to just enjoy what these young players are doing. Next year this team could make a special run. 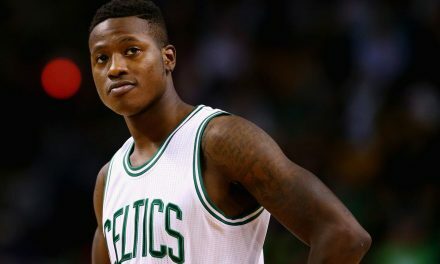 After a Trade Offer from Phoenix, is Terry Rozier on His Way Out? Does Kawhi Leonard Make the Raptors a Threat to the Celtics?